Every company in India must have a shareholdings pattern. Likewise in a banking company, they also had shareholding rules and regulations. Here this shareholding was regulated under section 12 of the banking regulation act 1949. Let us explain this vividly. The subscribed capital of the banking company should not less than one-half of the authorized capital and the paid-up capital of that company should not less than one-half of the subscribed capital. If this capital were raised, the bank should comply with the conditions specified by the reserve bank within such period not exceeding two years. The capital of the banking company might be consisted of ordinary shares only or of ordinary shares or equity shares and also preferential shares had been issued before 1st July 1944 but it didn’t include the banking company incorporated before 15th January 1937. 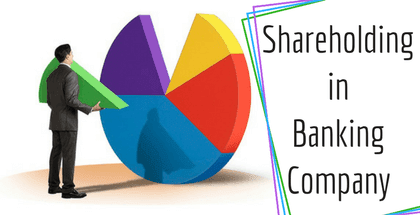 If any persons holding shares in the banking company shouldn’t exercise their voting rights in excess of 10% from the total number of voting rights in that banking company. There was no suit or any proceedings against any person registered as a holder of the share in the banking company on the ground that the title vested by a person other than the registered holder on the way of transfer. Every chairman, managing director, the chief executive officer of that banking company should furnish returns to the reserve bank of India containing full particulars of the extent and value of his/her holdings of shares in that banking company and of any change in that shareholdings or any variations and any other information’s related to shareholdings. Every banking company after the commencement of the companies act 1956 should be carried their business after the expiry of three years but before the expiry of one year having regard to the interests of the depositors of the banking company. In case of banking company incorporated outside India, the aggregate value of its paid-up capital and reserves should not be less than fifteen lakhs of rupees and if it had a places of business in Bombay or Calcutta or both, twenty lakhs of rupees and those banking companies should deposit and kept deposited with the reserve bank either in cash or in kind of securities, etc. In case of any banking company in which above provisions was not applicable, the aggregate value of its paid-up capital and reserves should not be less than five lakhs of rupees and if it had a place of business in Bombay or Calcutta or both, ten lakhs of rupees. 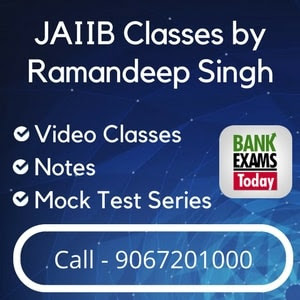 If banking company had its place of business in one state, one or more which are situated in city of Bombay or Calcutta, five lakhs of rupees plus twenty-five thousands rupees in respect of in each place of business outside that places should be required to have paid-up capital and reserves up to an aggregate value of ten lakhs of rupees. If any disputes were raised out of the calculation of the paid-up capital and reserves, it should be resolved by the Reserve bank of India. Also, their determination should be final and there is no appeal.